Thomas was charged last week with fifth-degree possession of marijuana, Andrew Krammer of the Minneapolis Star Tribune reports. Analysis: The incident stems from January, when officers executed a search warrant on Thomas' apartment. It's expected that he'll face punishment from the league. Thomas signed a reserve/future contract Wednesday with the Vikings, Chris Tomasson of the St. Paul Pioneer Press reports. 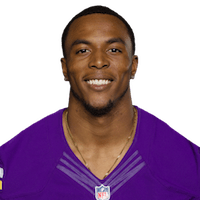 Analysis: Thomas finished the 2018 season on the Vikings' practice squad after appearing in five games for Minnesota earlier on in the year. He'll now get the offseason to compete with Mike Boone, Ameer Abdullah and anyone else the team might bring in to compete for a depth role behind Dalvin Cook in advance of the 2019 campaign. The Vikings are signing Thomas (hamstring) to their practice squad Thursday, Courtney Cronin of ESPN.com reports. Analysis: Thomas was waived by the Vikings earlier this week to make room for Ameer Abdullah on the 53-man roster. The undrafted rookie will rejoin Minnesota as a practice squad player. While it's possible that Thomas could carve out another depth role, it seems unlikely that the undrafted rookie will play significant offensive snaps this season. Thomas (hamstring) was waived by the Vikings on Wednesday, Field Yates of ESPN reports. Analysis: Thomas was waived by Minnesota to make room for former Lions' running back Ameer Abdullah. The undrafted free agent rushed eight times for 30 yards and zero touchdowns with the Vikings this season, and caught two passes for 21 yards. If Thomas clears waivers, he'll be free to search for a depth role elsewhere in the league. Thomas (hamstring) was ruled out for Sunday's game against the Lions. Analysis: Thomas suffered the hamstring injury in last Sunday's loss to the Saints and was unable to practice this week. Dalvin Cook (hamstring) is set to return in a limited capacity this week, which would have cut into Thomas' meager offensive workload regardless. 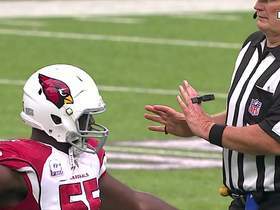 Arizona Cardinals defensive end Chandler Jones stops Minnesota Vikings running back Roc Thomas with a perfect tackle. 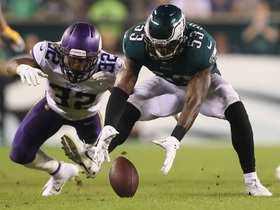 Philadelphia Eagles linebacker Nigel Bradham jumps on errant lateral to recover for Eagles.